Notes: "Arrow edition 1977" Month from amazon.uk Printing not stated, no number line Postscript, Page 11, (c) 1972: "For this edition, I have dropped "There Shall Be No Darkness" in favour of "We All Die Naked"." Since it is shorter, he also added "How Beautiful with Banners". Cover artist not credited but the artwork has Foss' initial. UK 60p, Australia $2.00, Malta 65c, Canada $1.75. 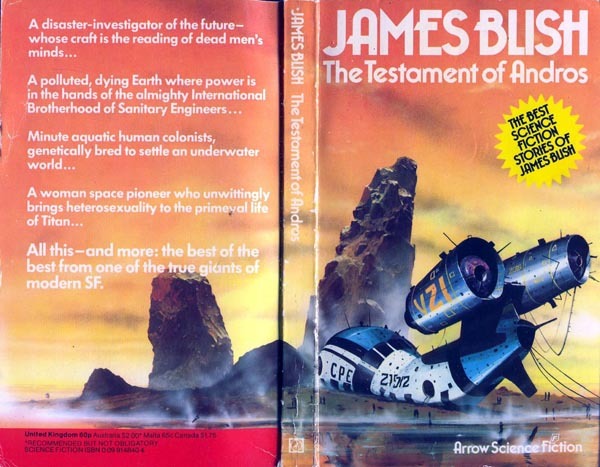 First published in 1973 as "Best Science Fiction Stories of James Blish".